According to your dentist in Fort Worth, keeping your gums healthy is a huge part of maintaining the health of the rest of your body. Your gums can open a door to bacteria and disease if not taken care of. Unfortunately, the public and the dental industry has failed to make this connection. Through preventive care, you can avoid the complications that can occur in tandem with unhealthy gums. We’ll break down the misconceptions and risks of poor gum health, so you can stay informed. If your gums become more exposed to bacteria for over time, it will make your body less resistant to infections and effectively stress your body’s immune system. Unfortunately, many dental and medical professionals fail to acknowledge this connection, costing patients their money, time, and causing more unnecessary pain and illness. If the medical industry chose to address this issue more, it would help reduce these costs in the future. Based on evidence from recent studies, periodontal disease has a dramatic effect on healthcare costs. In 2007, the U.S. alone spent $2.2 trillion, 21 percent of which could be saved if periodontal disease was eliminated entirely. That amounts to nearly $500 billion. Furthermore, in a study conducted by Aetna and the Columbia University College of Dental Medicine, researchers found a relationship between periodontal treatment and the overall cost of care for several chronic diseases. While looking at 145,000 Aetna members with continuous dental and medical coverage, periodontal care appeared to have a positive effect on the cost of medical care. For example, those who sought earlier treatment had lower medical costs for treating their diabetes, coronary artery disease, and cerebrovascular disease (stroke). Therefore, early treatment and regular prevention is essential to maintaining your quality of life and saving money. To keep your dental and overall health in positive condition, commit to seeing your dentist for full examinations, regular check-ups, and cleanings at least twice a year to remove gum disease and keep your gums healthy. Use a fluoridated toothpaste when you brush twice a day, floss once a day to remove plaque from hard-to-reach places (like on your gums), and be sure to brush along the gumline. Anti-inflammatory foods and drinks like bell peppers, citrus fruits, and green tea can better equip your gums to fight bacteria and irritation, so consider including them into your diet as well. Don’t forget that gum health is as important to your quality of life as the rest of your body. Learn more from your Fort Worth dentist at your next appointment! For over 25 years, Dr. John G. Boyd, D.D.S. 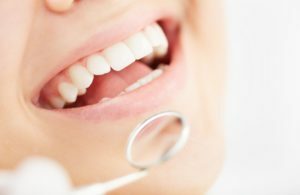 has been providing the highest quality and most comprehensive dental care possible. After graduating from Texas State University, he went on to earn his dental degree from the University of Texas Dental Branch-Houston. To learn more about his practice, contact him at (817) 882-8282 or visit his website.